TameBay have confirmed what’s been rumoured for some time: eBay offices across Europe will close, teams are merging, jobs will be lost and operations are being streamlined and centralised in London and Switzerland. 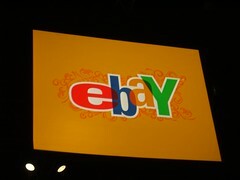 eBay Inc. announced in October that circa 10% of jobs would be cut from a marketplaces workforce of approx 10k. The good news? Reportedly, none of these job cuts are hitting European Customer Support staff. Skype and PayPal are also unaffected. There is obvious logic to these cuts. Any business should keep a sober eye on staffing and, in an eBay Europe context, it’s obvious that some countries haven’t delivered results that justify the staffing they’ve enjoyed. Judicious staff cuts can be part of the sensible strategy any company pursues. Not least in times of recession. But even in these straightened times, the significance of these job losses and the related restructuring shouldn’t be lost. Ever since eBay landed in Europe in 1999 (with the purchase of alando.de and the establishment of ebay.co.uk), it has pursued a ‘local’ strategy: teams in-country utilising local talent and knowledge to translate the eBay playbook into a language the native population will embrace. It has been a phenomenally successful approach. eBay marketplaces in Britain and Germany are massively profitable and represent eBay’s second and third biggest marketplaces respectively (after the USA). eBay is now decreasing its staffing in Europe for the first time. There is flab at eBay. But is it in Europe? The European operation is lean in comparison to the much larger organisation at eBay HQ in San Jose. There multiple campuses are occupied by many thousands of employees. Cuts are being made stateside, but if estimates that the eBay Europe changes represent a net loss of 300 jobs (and I reckon that’s a reasonable, even slightly conservative, estimate) then proportionally the knife is cutting deeper on this side of the Atlantic. One thing that concerns me enormously is the loss of expertise. The calibre of eBay staff is very high. And it seems obvious to suggest that the needs of eBay buyers and sellers in Main Street USA are different enough from those in Munich, Manchester, Marseille, Madrid and Milan to justify a team that reflects that diversity as closely as is profitable. The restructuring will mean that great experience and knowledge will be lost. Restructuring is a tonic that eBay management turn to with the ease and enthusiasm of a drunk who thinks that just one drink first thing in the morning will solve the problems of the day. The ‘re-org’ is god. Constant structural change revered. Looking back at my seven years with eBay, I can’t even count the different teams, divisions and managers I served under. But a ‘re-org’ (restructuring, streamlining, rationalising, retrenchment, whatever you want to call it) is only ever that. It’s not a substitute for the right strategy. Come January, a new, probably somewhat disorientated, and slimmed-down team in Zurich and London will have to work out what’s next. There is huge profit and growth to be found in Europe. The essential health of the marketplace is sound but the challenges facing eBay in Europe are huge. I’m concerned that these changes will diminish eBay’s ability to prosper in these difficult economic times. Can a reduced, pan-European team chart the course to the reinvigorated growth that Wall St. and shareholders demand? I’m not sure. But once the short-term savings of job cuts have passed, it’s certain that analysts will still want eBay to find its old magic. So, what’s the next trick? I think business wise the decision seems to make sense. It remains to be seen if eBay however can compete without being local. Generally in the past they have lost in markets without local staff. On the other hand maybe it’s about executing. I think eBay could do well with one site (barring language and legal differences), and simplifying and consolidating a lot of the complexity across the different sites. Of course that’s easier to say than to do, and not without difficulty. One also begs the question then why have European site at all. One not just have one site with different languages. Which then means, why have all your staff in the USA. I think if the model is consolidation, you can have offices all over the world focused on different aspects of the company. Diversifying always brings value and ideas. I think eBay (seems to me) a little lost as who they are right now. I hope they find their strength and build from it once again, as I would hate to see them yahooafiy. Thanks Adrian. Fair points all. The Yahoo! comparison is salient and worrying but not unfair. I don’t have the numbers to hand, but I’d posit that the success in Germany and the United Kingdom rode a wave’s crest… that perfect wave formed of a society accustomed to distance selling, available and speedy connectivity, and some level of prosperity. That wave may have been ridden well by local teams, and the potential realised more fully than in other instances. I take absolutely nothing from the fine teams that I worked with in both locales – largely comprised of passionate and capable individuals who were either original staffers or very early adopters. However, many of the other regions have not made the same gains vs. projected potential. Perhaps its thought that the localisation process is now well-documented – local teams have now accomplished the goals that made the most difference in the successful markets. What may remain are general ‘strategic guidance’ tasks that are better suited to a cohesive, single team. Further, Adrian, you mention that eBay seems to be a bit confused as to its identity. I’d agree, and I’d point to everything from Skype’s sporadic monetisation and integration to eBay core’s half-hearted and failed “Neighborhood’s” concept, among other things. NOTABLE among those other things would be the fractious approach to localised eBay’s, especially those here in Europe. While I lament the loss of some great individuals, I believe its easier to craft a unified and instantly recognisable identity when its centralised. Such a strong brand may be the missing ingredient in the under-performing locales’ wave generators. *Yes, I realise that analogy was over-extended. **No, I have no intention of apologising for it! The thing I found most interesting about the Tamebay article was that ebay employess are taking redundancy rather than move/change jobs. Seems the ebay employees are not that confident in ebay anymore, the same as most other folk. Yeah, that is interesting. But if someone opts for a generous severance package, it could also have something to do with their personal life and not just lack of confidence in the business. I’m not unsympathetic to the view that there was a wave that eBay surfed. But equally, by no means was dominance inevitable. In 1999 and 2000, QXL (remember them?) did a great job of establishing themselves and prospering. I think the UK’s local team was essential when it came to trouncing them. They certainly made their homegrown credentials part of their marketing. I also recall that there was concern that we Brits wouldn’t take to this crazy American idea. There was suspicion regarding the upstart eBay over ‘ere. Of course, the weekness of my argument about how vital local teams were is China. But thankfully noone has pointed that out. I think the office move to Switzerland is so the slimlined eBay.eu (ie UK and Germany) can still enjoy the same benefits I do from living in Switzerland. Yes – the amorous company of Nicole Scherzinger.